Description (From Goodreads): When Wendy Everly was six-years-old, her mother was convinced she was a monster and tried to kill her. It isn't until eleven years later that Wendy finds out her mother might've been telling the truth. The first book in the Tyrlle Trilogy, Switched by Amanda Hocking is like a breath of fresh air in the young adult paranormal market. I’ve read countless books about vampires, werewolves and faeries, but never one about trolls. Hocking gets the ball rolling right from the start, with a gripping and intense scene. The book begins with Wendy recalling her sixth birthday party – the day when her mother tried to kill her with a kitchen knife. Wendy’s mother was always convinced that she was a monster – a changeling who killed her real child, Michael. We soon discover her mother was right, well partially, when Wendy is found by a trylle tracker, Finn. Finn has come to collect Wendy and bring her back to her real family, where he says she will find a better life. Wendy, however is not so sure - she loves her brother and her Aunt and doesn’t want to leave them behind. However, she eventually does go with Finn – after she suffers a kidnapping attempt from a rival troll community. The entire story was incredibly gripping; I had a very difficult time putting this one down. Wendy is an unusual heroine – she is incredibly grumpy and quick to anger, but she is also very passionate and loyal to those she loves. Although she is not much of a people person, she has a great relationship with her older brother Matt. Matt is the one who saved Wendy from her mother and he has ended up filling the parental role. While I loved the relationship between these two, it did bother me how little Wendy seemed to think about him when she is living with the trolls. She occasionally lets her thoughts rest on him, but never tries to call him or anything. She gets caught up in her new life and kind of puts him on the back burner. I also really enjoyed Wendy’s love interest, Finn. When Finn is first introduced, he comes off as unusual and slightly creepy. Wendy doesn’t really know what to make of him, but she feels pulled to him just the same. As the story evolves, Finn develops into a rather likable character and coincidentally a perfect match for Wendy. Things aren’t all rainbows and rosebuds for these two though – they are faced with plenty of challenges and setbacks along the way. The plot was also extremely engaging and well-developed. Parts of it seemed a little out of place – like all of the manners lessons that Wendy has to go through after she returns to the trolls. They fit in with the plot, but they upset the pacing a bit. I wouldn’t say that the story dragged by any means, but it wasn’t always smooth either. I must say though, that Hocking did a marvelous job crafting the Trylle world. I think that when you are writing a story about trolls you are fighting an uphill battle. I mean, everyone has preconceived notions about what kind of creature a troll is – I know I instantly think of a large, ugly, creeper who lives under a bridge. But, Hocking is able to overcome all of that and invent a mesmerizing world that goes against everything I associated with trolls in the past. 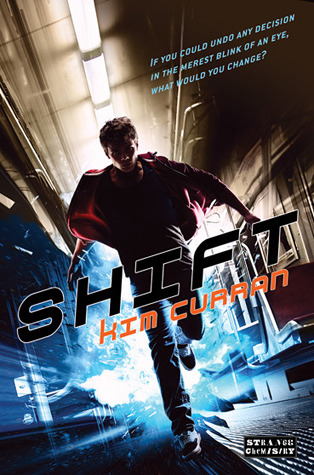 Switched was an impressive start to a series that was chock-full of excitement, adventure and attitude. The characters are all entertaining – especially Wendy. She is sarcastic, determined, driven and incredibly funny. She doesn’t take crap from anybody and has no problem speaking her mind. 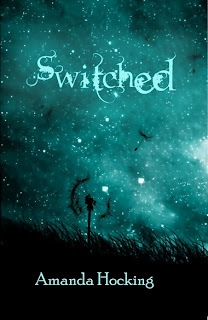 If you are a fan of paranormal or supernatural young adult stories, I would not hesitate to pick up a copy of Switched! It was a very good book. The last book in the series, Ascend, came out today. Amanda Hocking is a name you'll want to remember. She's going places! This sounds fantastic. I love it when authors come up with something new like this. I've never heard of a book about trolls, and it sounds so intriguing. I'm definitely going to have to look this one up. Great review!